, son of the preceding, was bora at Rotherhithe in, Surrey about 1614, and educated at St. Paul’s school, from whence he was sent to Sidney college in the university of Cambridge at about sixteen years of age, and put- under the tuition of Mr. Richard Dugard, B. D. fellow pf that college, and afterwards rector of Fulletby in Lincolnshire. 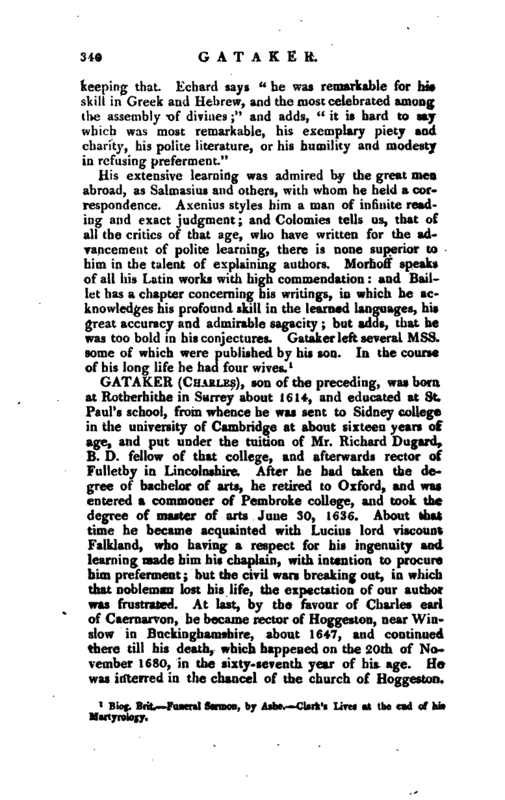 After he had taken the degree of bachelor of arts, he retired to Oxford, and was entered a commoner of Pembroke college, and took the degree of master of arts June 30, 1636. About that time he became acquainted with Lucius lord viscount Falkland, who having a respect for his ingenuity and learning made him his chaplain, with intention to procure him preferment; but the civil wars breaking out, in which that nobleman lost his life, the expectation of our author was frustrated. At last, by the favour of Charles earl ofCaernarvon, he became rector of Hoggeston, near Winslow in Buckinghamshire, about 1647, and continued there till his death, which happened on the 20th of November 1680, in the sixty-seventh year of his age. He was interred in the chancel of the church of Hoggeston. 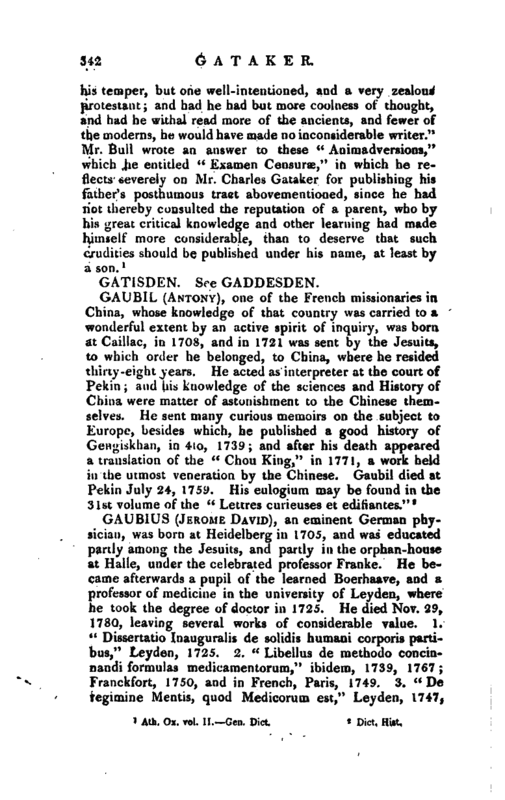 | He wrote 'several treatises upon Calvinistical principles, of which the following are the principal: 1. 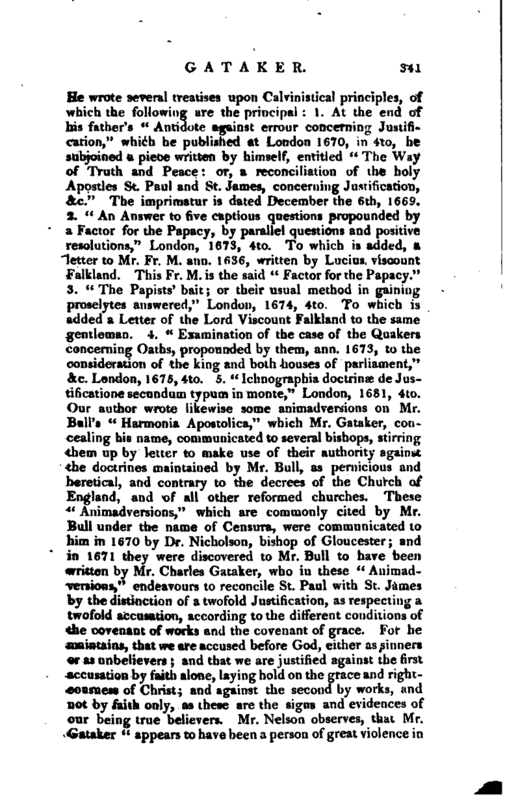 At the end of his father’s “Antidote against errour concerning Justification,” which he published at London 1670, in 4to, he subjoined a piece written by himself, entitled “The Way of Truth and Peace: or, a reconciliation of the holy Apostles St. Paul and St. James, concerning Justification, &c.” The imprimatur is dated December the 6th, 1669. Ath. Ox. vol. II—Gen. Dict.